Sulfoglucuronyl carbohydrate linked to neolactotetraose reacts with HNK-1 antibody. The HNK-1 carbohydrate epitope is found in two major glycolipids, several glycoproteins and in some proteoglycans of the nervous system. Most of the HNK-1 reactive glycoproteins so far identified are neural cell adhesion molecules and/or are involved in cell-cell interactions. HNK-1 carbohydrate is highly immunogenic. Several HNK-1-like antibodies, including IgM of some patients with plasma cell abnormalities and having peripheral neuropathy, have been described. 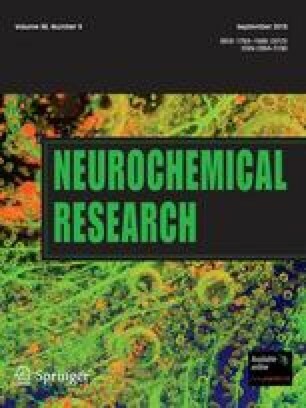 This article summarizes published work mainly on sulfoglucuronyl glycolipids, SGGLs and covers: structural requirements of the carbohydrate epitope for binding to HNK-1 and human antibodies, expression of the lipids in various neural areas, stage and region specific developmental expression in CNS and PNS, immunocytochemical localization, loss of expression in Purkinje cell abnormality murine mutations, biosynthetic regulation of expression by a single enzyme N-acetylglucosaminyl transferase, identification of receptor-like carbohydrate binding neural proteins (lectins), and perceived role of the carbohydrate in physiological functions. The latter includes role in: pathogenesis of certain peripheral neuropathies, in migration of neural crest cells, as a ligand in cell-cell adhesion/interaction and as a promoter of neurite outgrowth for motor neurons. Multiple expression of HNK-1 carbohydrate in several molecules and in various neural cell types at specific stages of nervous system development has puzzled investigators as to its specific biological function, but this may also suggest its importance in multiple systems during cell differentiation and migration processes. Special issue dedicated to Dr. Marjorie B. Lees.